I just created a new form - and I am wondering if you guys can see any issues with the logic as to why the info wont go into salesforce. 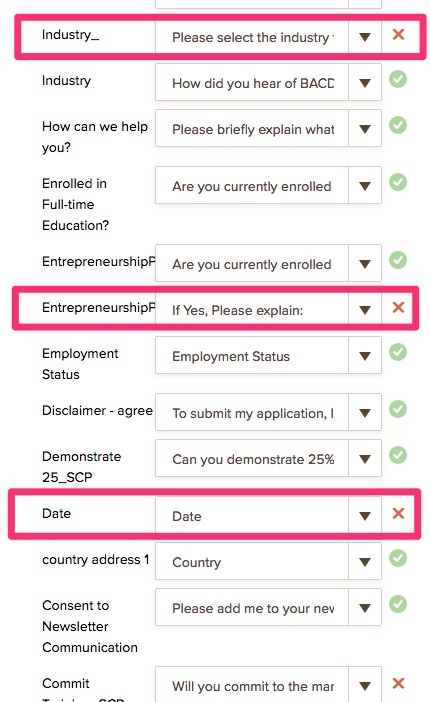 The form is the Starter Company Plus Application. I have aligned up all the salesforce fields (ie. 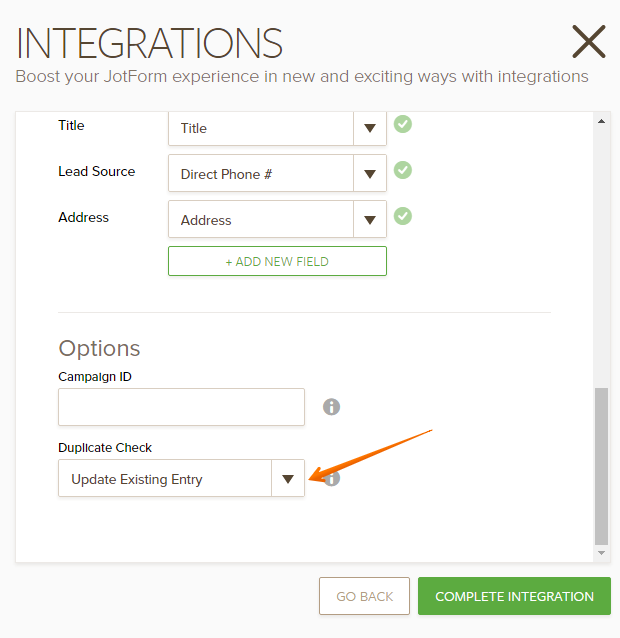 for every jotform field, there is a lead field) - Im wondering If possibly an issue is Jotform radio button to Salesforce picklist is causing a problem? I feel like I followed all the rules but it doesn't work. Any help would be appreciated. thanks! 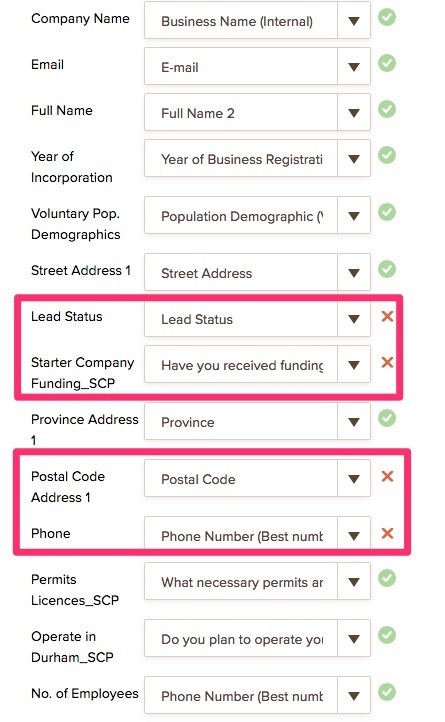 I have tried to access the Salesforce integration on your form to see the mapping fields and it seems that there is an issue with the integration. Could you check and correct the information to authenticate your Salesforce account in the form? It is fine on my end. All is authenticated. All the fields have checkmarks besides them but no info is being transmitted to salesforce. I have tried integrating Salesforce to the cloned version of your JotForm. However, I have few fields including a picklist custom field to the integration. 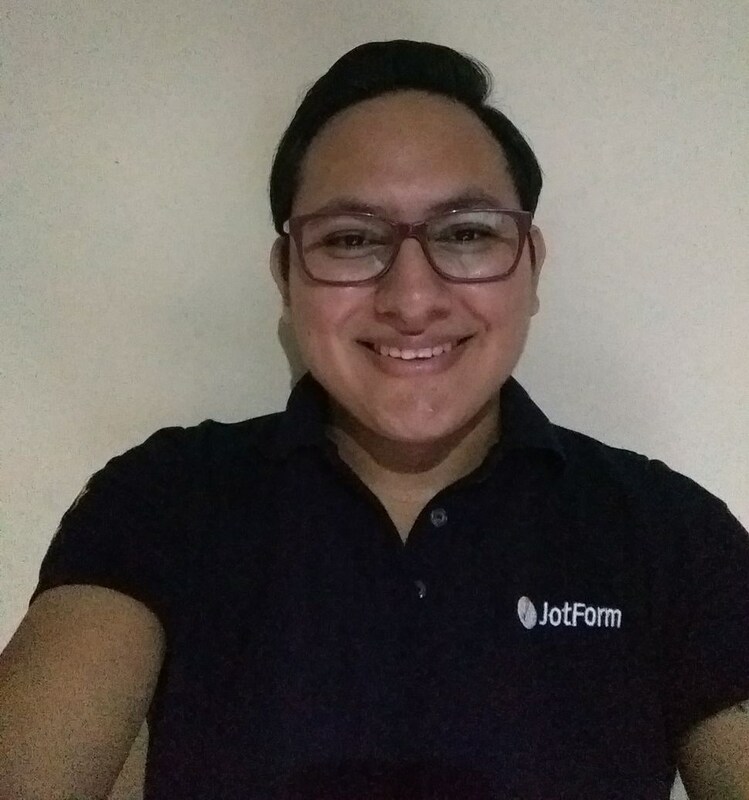 When the form is submitted, I have received the form submission to the Salesforce without any issue. 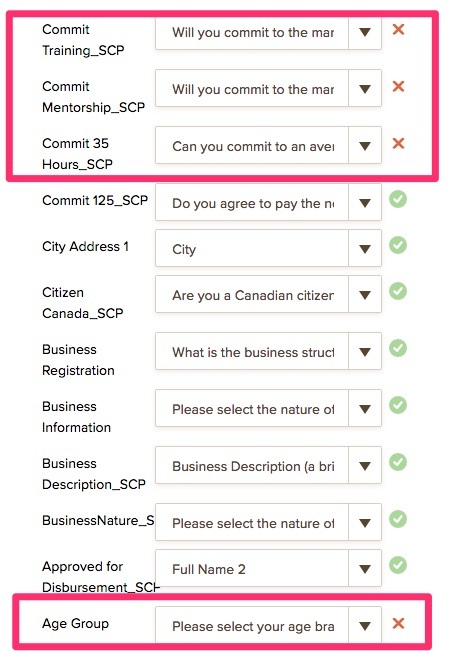 Since there are several custom fields mapped with the form, could you try removing a set of fields in the mapping to isolate the issue? I only integrated the required fields for salesforce (ie name, date, lead status, lead source, newsletter). This is the reason why your Salesforce integration does not work properly. Even if, one of the form fields does not match your Salesforce fields, your integration can not work properly. Please check again. Try to fix the fields of the integration. What do you mean matched wrong? They are matched correctly to me? Do you mean question/field type? ie radio to dropdown? Please make sure that you are having one of these editions and let us know if the issue still persists. We will be happy to assist you further. We have professional but have API. We have other forms we use that are going into Salesforce so that should not be the issue. And the field types are radio button to dropdown if anything - and it seems to work on other forms and other people from Jotform said they should integrate. .... so..
Now as far as I know it is recommended to use the same field types in your form and SalesForce account, otherwise the data may not be properly passed. Also, try sending different records since if there are duplicates may be that they are not being added or are updating existing records.